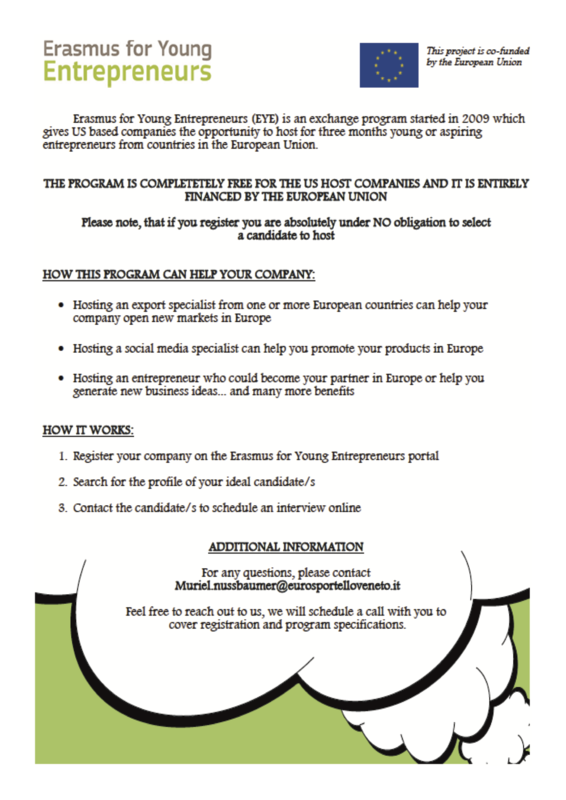 Funded by the European Union – Erasmus for Young Entrepreneurs (EYE) is an exchange program started in 2009 which gives US based companies the opportunity to host, for three months, young aspiring entrepreneurs from countries in the European Union. The program is completely free for the US host companies – as it is entirely financed by the European Union – and registration comes with NO obbilgation to select a candidate to host. Click Here – for further information and fill in the form at the bottom of the page to contact us for registration help!